The business: A family run bistro in Malpas, Cheshire. 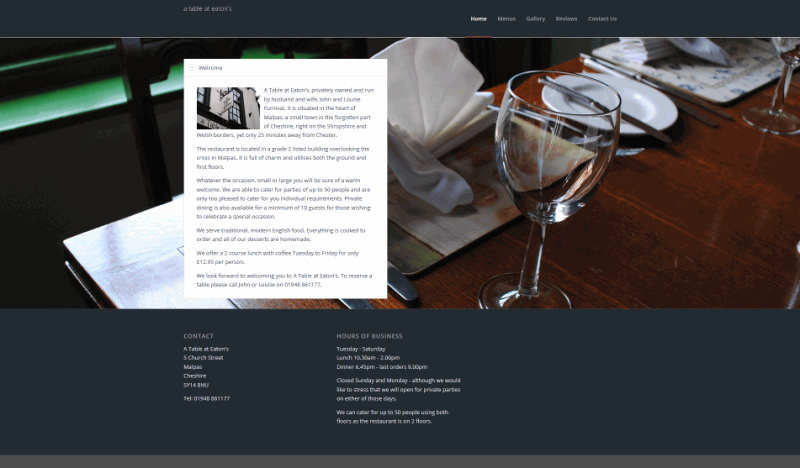 The brief: Create a new brochure website with bespoke photography that sells the charm and character of the restaurant and makes people want to eat there. 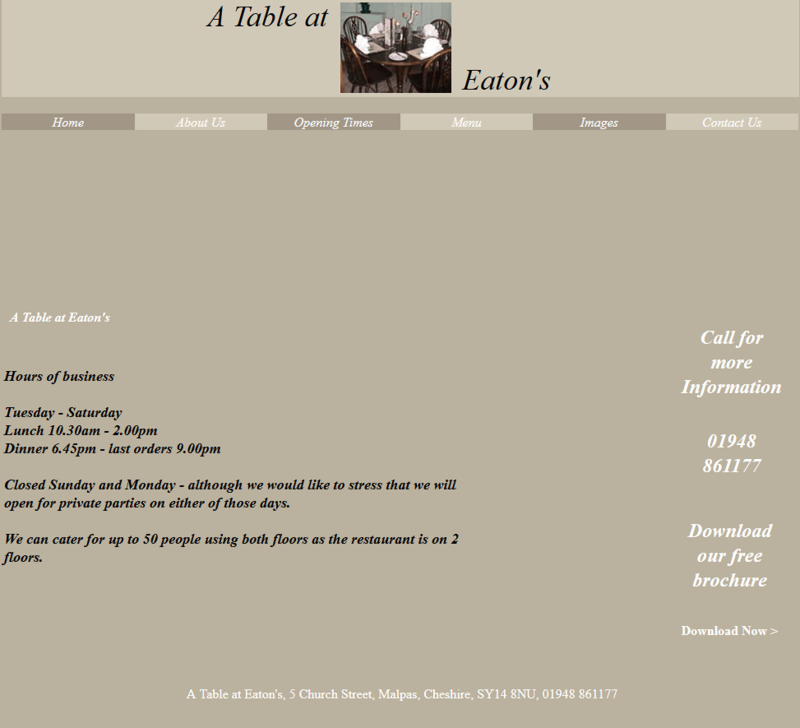 Our approach: When we approached A Table at Eatons they had a very poor website that did nothing to sell the charm of the building and quality of the food. We believed that by creating bespoke photography we could convey the character of the bistro and use a Trip Adviser widget on the site to show off public reviews. The owners were delighted with the outcome.